Victoria Therapist: Misha Gitberg - Therapist V8N 1G2. Send A Message To Misha. As a psychotherapist and a counsellor Misha has enjoyed the privilege of helping people over the last 35 years. He is known to provide compassionate, attentive and spacious presence to help you heal and find meaning, joy and harmony in your life. Whether you are dealing with anxiety, depression, relationship issue, addiction, trauma or a spiritual concern, Misha will not only help you better understand and heal your unique problem, he will help you recognize and develop inner strength you already have. 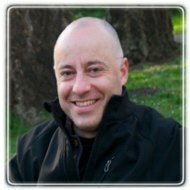 In his private practice in Victoria, BC, Misha integrates a variety of therapeutic approaches and is able to offer one that may best suite your needs. For example, he may invite you to become mindful of your thoughts, feelings or body sensations in the moment, explore your past and present relationships, use educational approach and share his own experience with you when appropriate. Misha employs ceremonial ways of consciousness expansion to aid in deeper healing and spiritual explorations. Misha holds Masters degree in Counselling Psychology from the Adler School of Professional Psychology (Toronto and Chicago). He has extensive experience working for Health Institutions, Community Agencies and in private practice in Toronto and Victoria (Centre for Addiction and Mental Health, Women's College Hospital, Mount Sinai Hospital, Hospice Toronto, Victoria Island Health). In addition to his counselling practice in Victoria, Misha explores ecstatic dance, psychodelic healing, tantra, subtle levels of consciousness, dabbles in painting and photography and grows two beautiful boys.